U.S. Supreme Court Chief Justice John Roberts. 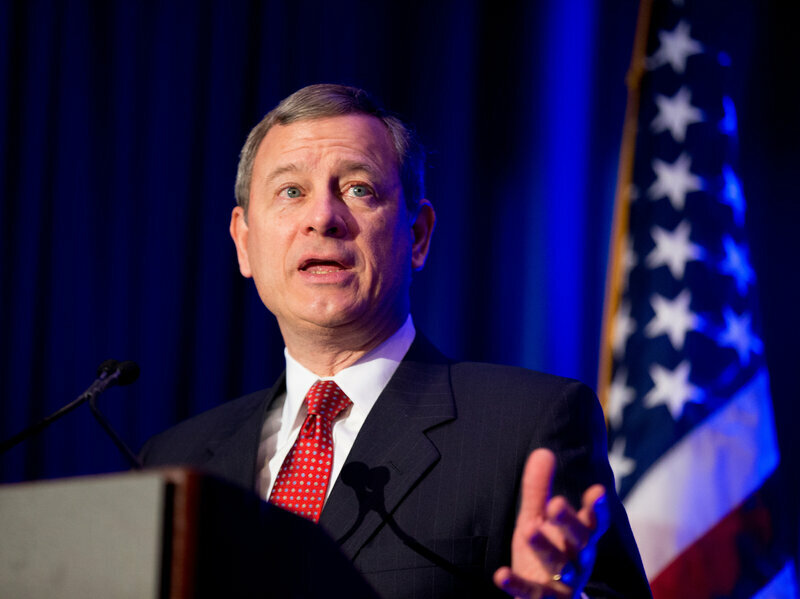 U.S. Supreme Court Chief Justice John Roberts praised the often-overlooked work of federal district judges in his year-end report on the federal judiciary, avoiding any talk of politics in regards to the country’s judicial system. Incoming president Donald Trump will have more than a 100 vacancies to fill at the district and appellate court level nationwide. He’ll also be able to fill the Supreme Court seat vacated following the death of Justice Antonin Scalia. The Republican-controlled Congress has refused to hold a hearing on President Obama’s nominee for that empty seat. The future of those judicial vacancies was a key issue in the presidential election. Congress has authorized 637 district court judgeships across the country. And the people working in those positions do so largely out of the public eye, Roberts wrote.